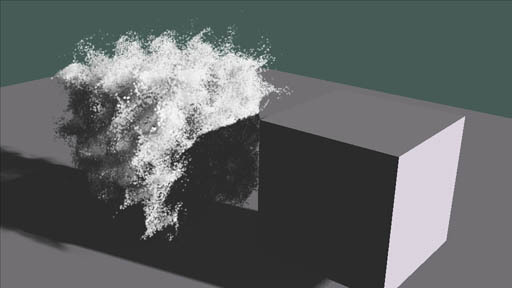 That fake fluid sim curl noise looks really good and the performance for that amount of particles is impressive. How many particles were you used in Blunderbuss? 1 million (well actually 1024×1024.. 🙂 ). altho its only some places where the full amount is used. The technical achievment is impressive, you’ve combine a lot of technic to reach your goal. However I thought that you will be forced to code in DX11 ( or 10 ) if you want to gain some flexibility in your particle system ( like a better spawnning control or more complex behavior for each particle ). It’s just more enjoyable if you can adjust the particle behavior in a language ( like the hlsl ) and modify it on the fly to fine tune the final result whithout the pain to initialize 3 rendertargets with ping pong operatoin between them. I doesn’t already develop in DX11 ( nor DX10 ) but from what I red it’s seems to be possible with those API. great post! 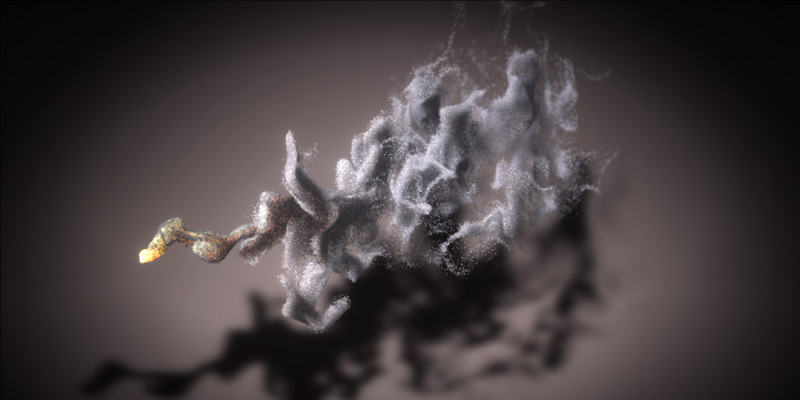 thanks for sharing info on your particle system, it’s gorgeous! Wonderful work on this one. So exciting to see “demo scene” work out in the open like this. I really hope the general public start connecting with this because code is art. but i need to know more if this…do you have a paper published? i want to introduce this in my game engine and i want to know more. like…you got some benchmark? No paper published on this subject no.. was just doing it for fun. 🙂 But if there is anything you need some information on or help with then let me know. plsssss publish a paper XD. 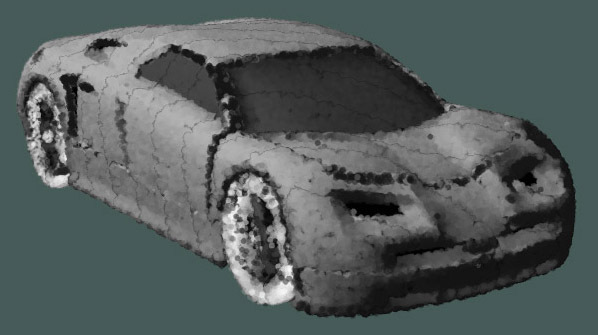 but anyway, does the particles generated from the meshe (the car) can do it in real time? 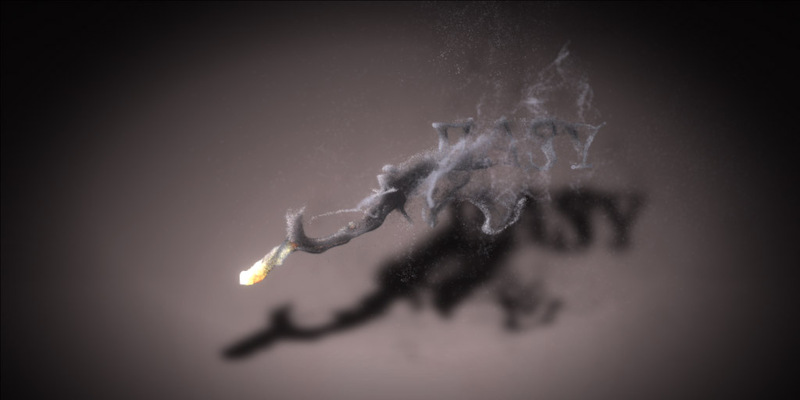 like transforming a 3d model into smoke in gameplay? does all the particles react to object ? what is the performance hit of 100k particles? sorry for the noobs questions, but im still a beginner. anyway, again, amazing! The particles can be generated in realtime from the car yes. The spawn positions on the car are pre-baked to a texture, but I can e.g. apply transforms and even skinning to the position buffer so that it could spawn from an animated character updating in realtime as well. It’s quite easy to do actually. Particles are not colliding with objects at the moment, I might add it in future if I need it for something (it’s not too difficult if you have distance fields for the collision objects). Then, when updating the particles you can sample that field for the particle and see if your particle lies inside the object – i.e. distance < 0. To make it more solid, you perform a ray march with N steps from your particle's position along the velocity vector, see if there were any intersections during the particle's movement in the frame, and perform a binary search to find the point where the distance is 0 – the exact intersection point. Then update the position and velocity accordingly. This is of course all easily doable inside a fragment shader – it's just distance field tracing. Of course like a lot of collision detection problems with moving objects you can have issues with time steps and skipping over space, so you might need to run the collision process iteratively with several steps per update. Not sure what you mean about the need for CPU/GPU sync – what do you need to get the CPU involved for except to provide the object's transform? Could there be any possibility for having a look on the source code of this rather marvellous implementation? Looks really great, especially the innovations in gpu particle system design. Good to see that people still find new and creative ways to improve particle systems. Could you please elaborate a bit more on how you handle your particle allocation? 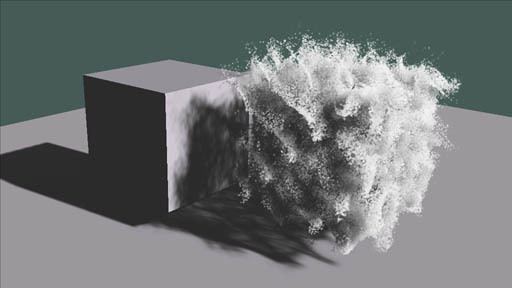 I remember particle allocation being the biggest bottleneck in my GPU particle system. I used the way Latta Lutz described in his whitepaper where he kept track of particle life on the CPU and reallocated them when needed. Your blog seems to be the only post about GPGPU particles who’se allocation isn’t done on the CPU. I’ll try to explain the particle allocation better. You are right – it’s a very difficult problem and it took some trickery to solve it. I store the particle life remaining (and the initial life) in a texture. If the remaining life of a particle gets to 0 the particle won’t be rendered – it’s simply sent off screen in the vertex shader. During update, I render a “spawn data buffer”. This buffer contains potential spawn positions, lives, colours etc of new particles – the buffer is the same size as the particle position buffer. It can be generated in different ways – e.g. all values could be set to the position of a single point emitter; it could use the vertices of a mesh; or it could be a mix of several spawn sources – they just write in their own areas of the spawn buffer. The values are usually slightly randomised and the “initial life” value is usually randomised too. Next, when updating the particles (adding velocity to position, decrementing life etc) I check the particle life. If the life is 0 then I read the value from the spawn data buffer for that particle’s uv and write that out as the particle’s position instead – so the particle is respawned at the new location. There’s an extra control term, though: sometimes I dont want every particle to spawn immediately, I want to emit them slowly over time. What I do is control the initial life values written to the spawn data buffer. If the initial life value for a particle in that buffer is 0 and the particle is respawned, it will still have a life of 0 so it won’t appear and it will try to be respawned again next time. So, I can control the % of particles in the spawn buffer per frame (or indeed, per second) which have life values that are non-zero. As long as the set is changed over time so different particles will be respawned, and the change is done in a way that spawns reliably and smoothly over time, it works. (this can be as simple as, “spawn non-zero lives from y=0 to y=0.1 at frame 0, and move that region slowly in y over time”. Thanks for the great explanation, I think I get it now. I’ll try to alter my particlesystem to use the way you described, perhaps it’ll be more usable than it is now. With the moving window thing though, wouldn’t sorting your particles make it really inpredicable? Seeing as all your living particles would probably congregate into a part of your texture? Or am I missing something? Did you use points, point sprites, regular quads or camera aligned quads for your system. Because in my experience points are to limited in appearance. Point sprites are nice until you start rotating their textures. Quads should be more flexible in appearance yet I haven’t been able to make them behave properly. Another short question though, do you use R2VB, VTF or some other method to change your data in you data textures to vertex data? I simply want to see what you stance is on those techniques. Yes – if you have a slow spawn rate, the living particles probably do congregate in one area. But that doesn’t matter at all – it’s not a problem. If you dont make use of all the available particles thats up to you, you can optimise the system by reducing the texture size and increasing the sliding window rate to compensate. I use point sprites usually because my particles are small and numerous – a lot of the work is in the vertex shader so I wanted something fast there. I do support texture rotation and it works fine (but has to be performed in the fragment shader on d3d9). I have used billboarded quads (well, pairs of tris) as well which I camera-align in the vertex shader, but I tend to avoid them if point sprites are enough. Keep the good work, we have better telepathies with this car stuff ! That the most real possible way to model stuff in a computer would come down to particles glued together. Of course that we don’t have the computer power to do that just yet, but i think experiments such as yours do get us in the right direction. This is really great stuff! It seems like a lot of effects could be pulled off much more realistically with this many particles. I’m still wondering about one thing – can you explain a bit further about how you do the lighting? How do you render the shadowing information all in one pass? How do you render the shadowing information all in one pass? Opacity shadow maps is quite simple. You create 4 rendertargets in A16B16G16R16F format and bind them as the 4 MRTs and clear them to black. Then you pick a minimum and maximum z range for the shadow map (i.e. from the light perspective) that cover the range of space occupied the particles – I use a bound box or hand-placed boxes to calculate that. You then divide that range into 16 values – one per layer – and bind those values to the shader as 4 constants (4x float4s). Next you render the particles as pointsprites with depth test and write off, and alpha blend set to add. In the vertex shader you transform the particle by the light’s viewprojection matrix and pass the depth through to the pixelshader. In the pixelshader you perform a comparision between the depth and the 4 depth range float4 constants you set earlier. You multiply the particle’s alpha by the comparison results and output to the 4 output colours. So in effect you are additive blending the particle opacity per layer, masked by a check to compare the particle’s light space depth against the layer’s depth. This gives you a sum per opacity shadow layer of the amount of particle mass in front of that layer. Firstly thank you for this interesting article, your combining many topics in a understandable way – it was a pleasure to read! I have a question regarding your approach to composite the shadow information into a colour buffer. You say, that sampling once per particle would result in too many texture fetches per vertice (or did i missunderstand this one?). But how does compositing from the 16 layers into a colour buffer speed up this process? wouldnt i have to do the same amount of texture lookups for every colour buffer pixel (aka every particle)? I think i got the point by myself. I was overlooking the slowness of texture lookups in the vertex shader. I think unified shaders/sm 4.0 are neglecting this point a little bit but the possibility to composite several effects “on top” of each other still remains. The key point is the difference between sampling the shadow map layers once per particle as I do, and once per pixel drawn to the screen if you sampled during the final rendering phase. Normally you’d get many times more pixels drawn than you have particles, so it would be a lot slower to do it there. Thanks for this thorough write-up of your technique, I honestly think you have done an amazing job. I am trying to do something similar myself and I was wondering about how you created the noise needed for the curl-noise technique. Are you just using a pre-generated perlin noise texture or do you generate the noise on the gpu somehow, if so how do you manage to do it fast enough? The noise is generated on the GPU using small 1d lookup textures. It’s not exactly perlin noise, it’s a bit simpler – you dont need the octave loop for example. I took a few shortcuts to optimise it down, of course. Thanks for the quick reply… though I didn’t see it before now. Thought I had subscribed to the thread, but I guess the mail didn’t come through. Interesting that you do the noise on the GPU, most take some effort to make it optimal. A question: you said the shading works like a deferred renderer, so you only shade in screen space after you’ve placed all the particles and colored them properly. Does this mean you don’t have any transparent particles or multisampling? As far as I knew, you needed exactly one fragment per pixel for deferred rendering. By deferred shading i mean – I apply it to an accumulation buffer but in particle space – one pixel per particle. The final point sprite render uses one colour value per particle. You have to accumulate the values for multiple lights to a buffer to get a final light result before applying the material and colour to it and getting a final particle colour. I am working in something very similar. I have two questions: do you use a time-varying noise function? and do you use a 3-dimensional Perlin noise texture ( grid ) or only 3 2D Perlin noise textures ( one for each component ) ? I am not sure if 3 Perlin textures can generate a good curl. Oh! i just noticed that you don’t need dX/dx to calculate the curl, 3 perlin noise texture should work. We use curl noise, not perlin, although it’s evaulated a bit like classic perlin – using a 1d texture of coefficients. For 3d curl noise we use 3 separate 1d lookup textures. The time varying works by changing the contents of the 1d texture.